Be the first to hear about their new releases and deals. 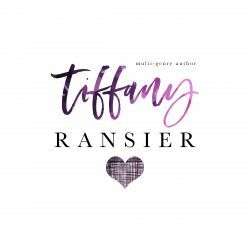 Download the Booksprout app and search for Tiffany Ransier today! Tiffany Ransier is a multi genre author. She loves diving in to different worlds and making theories about books and shows. You will find her work incorporates that. She lives in SoCal with her parents and younger brother. Her boyfriend is James Ransier, another author. They are the parents of an adorable Siberian Husky/Shiba Inu named Peg. When she's not writing stories or reading, she's going to school to become a doctor - an ob/gyn.